Turkish President Recep Tayyip Erdogan said Tuesday that Saudi hitmen killed journalist and dissident Jamal Khashoggi in an act of premeditated murder. As Sky News reports, Erdogan says Khashoggi did not die as a result of some random brawl in the Saudi consulate in Instanbul — as was recently claimed by Saudi Arabia’s attorney general — but was deliberately killed. Erdogan also wants the 18 accused of being involved in the murder to be put on trial in Turkey. Erdogan described an elaborate plan that he says the Saudis used to kill Khashoggi, including teams that went directly to the embassy and another that was used to provide reconnaissance of the area. 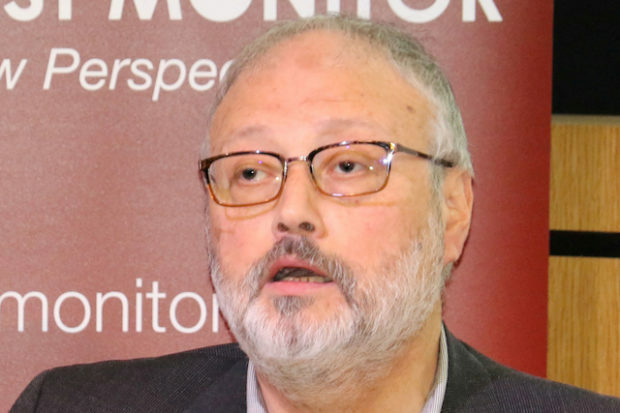 He says a “body double” was also used in an attempt to mislead people about Khashoggi’s fate. Erdogan called the act a “gruesome murder” and vowed that a cover-up would not be tolerated.